This is part-four of my FIVE-part process for generating a significant amount of wealth via acquiring a business without spending any of your own money, growing and improving it quickly before selling it on and generating a big profit. In part-one, I introduced you to the concept of this five-part process and in part-two, I listed the 10 items you need to look for in identifying the perfect business to acquire. In part-three I shared my 10-step, cash-free acquisition system with you. If you missed part-three, read it here before continuing with part-four. Now you own your first business, what’s next? How can you make your new business systematised and just irresistible to hungry corporate buyers who will take you out of the market for a premium price, thus generating a massive profit for you. In three months, 12, 24 or even longer. You may love owning your new business and want to stay there longer and even bolt other businesses onto it. We will get into that later in this post. Once you own a business, how do you grow it? How do you improve it? What essential pieces need to be in place to underpin success? Let me introduce you to my 7P framework for ultimate business success. 4) Proposition – Who cares what your business does? The problem is that very few small business owners truly do the necessary, deep planning. Planning is all about creating the treasure map and without this, how do you really know where you are going and how to get there safely? All businesses need a strategy, whether this is Apple or your small business or start-up. Strategy is about making clear and specific choices about what your business will be. It’s all about focus. You can’t be everything to everybody. Strategy must start with the vision for your business (what will your business be and how will people measure it). It must also include your mission and values statement (what do you believe and how will you act to live your vision). It also must clearly state how you can generate competitive advantage in any market. Finally, it must also determine your core market by understanding both financially attractive markets and how they are related to you and your business. See the blog post “Creating A Winning Strategy”. A business plan is what it says on the tin, however, what if I told you all businesses need multiple plans. The first is your internal business plan, and this is how you measure yourself and your business. The second is your funding business plan. Why are they different? Simple. Investors think in a very specific way. As a small business owner, you are selling two things: your product or service, so you make that irresistible to your prospective customer. Second, if you are seeking investment, you are selling your businesses’ equity. That is a completely different sell and as such, requires a different plan. I call this the equity marketing paradox. How do you think like an investor and what are the critical questions you will need to answer? See the upcoming blog post “The Ten funding questions”. 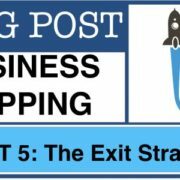 I interviewed more than 2000 small business owners in 2014, and more than 85% of them went into their new business venture without having a clearly defined exit strategy. Without this, what are you really working towards? There are five types of exit. You can sell your business (trade sale or an individual) or merge it with another one like you. Second, you can float your business on the stock market. This is difficult and expensive, but it works well for high growth businesses, especially in the technology, telecommunications and pharmaceutical industries. Third, you can give it away. Sounds strange however I have seen this happen hundreds of times. Give it away if you are bored of it, tired of it or just cannot continue to work in it anymore. Four, you can shut it down and close the doors (96% of start-ups suffer this fate within just ten years). Five, you can franchise it, and to do that you need to set it up and optimise it, so it works like a finely tuned watch. You need to be the absolute best you can be. In this section, I will run through some personal effectiveness tools you can use to set yourself up for high achievement every single day. You can ensure that you don’t have any ‘off days’ and that you are fulfilling your maximum potential at all times. See the blog post “10-Steps To World Class Productivity”. Leadership and management are both overused word in business, but it’s a critical subject. There are some critical parts of leadership, and we will cover them next. Do you work in or on your business and what is the difference? How do you make your business independent of you and what kind of legacy do you want to leave? We will also discuss the concept of You Inc. What is your personal brand? When disaster strikes, what do you do? We will also cover crisis management and how to ensure your business is ready. Good balance is a critical aspect of your business and your life. More than 40% of entrepreneurs I interviewed in 2014 had suffered either a relationship breakdown or serious health problems as a result of going into business. You need to set yourself up properly and still find time to enjoy your life: your relationship, your children, your hobbies. Manage your time properly and make sure your employees get the most out of you in the shortest time available. Again, read the blog post “10-Steps To World Class Productivity”. People are the lifeblood of any business. You can have the world’s best systems, processes, products, services and mountains of cash but without people, your business will not work. How do you hire the ‘right’ people? Do you hire superstars, or smart creatives, as Google refers to them? Or do you hire people that are “just good enough” to do a set of tasks required of them and which they will be accountable for? E-Myth author and small business expert, Michael Gerber maintains that if your business processes and operations manuals are well-defined, you only need hire individuals to perform certain tasks that are “just good enough”. This would ensure management by delegation versus abdication, and your employees will not go “off piste” and only do exactly what is required of them. Conversely, Chet Holes, author of the Ultimate Sales Machine, maintains you should only hire superstars. Extraordinary people who can do much more than is required. My opinion, from my 23 years in business is to have an 80/20 mix. 80% of your employees need to be systematised, follow specific rules and do specific everyday tasks. Bookkeeping, shipping and receiving, manufacturing, HR, sales administration, marketing campaigns, etc. The remaining 20% can be “superstars” and these individuals work well in sales or other business development roles. In summary, “superstars” on deck, “just good enough” in the engine room. Your business proposition is critical if you are to not only thrive, but also survive. What are the key elements of a strong business proposition? i) Why do customers buy? To sell anything successfully, you need to either solve your customer’s problem or assist them in achieving a specific goal. A big mistake most business owners make is trying to sell using features. Colour. Performance. Quality. Price. None of that matters until the buying decision has been made. People buy based on emotion and how you strike at those emotional chords will determine your success. The emotional chords include fear, pain, vanity, lust, ego, envy and pride. Do you think anyone buys a Ferrari because of colour, styling, fuel economy or speed? No. Look at the last five emotions. If you are selling a high-performance sports car, you need to trigger all of those five emotions. Benefits are equally important. Would you every go out and buy a drill? Yes, you would but you are not buying a drill, are you? (the feature). You are actually buying the ability to make a hole to say, hang a picture, that will make your house nicer (the benefit). Do people buy flights or train journeys? No, they are buying the destination. The journey is the feature. The destination is the benefit. Marketing is one of the most over-used words in business but what does it mean? How do you determine your routes to market, how to communicate with your prospective customers and how to qualify them? Everyone that you either target or touches your business is a suspect. You “suspect” they want to buy your product. The first step is converting them into a “prospect”. You need to qualify them. Do they have the pain you can solve or the goal you can help achieve? Are they ready to buy now? Do they have the budget? Can you efficiently get your product into their hands profitably? If you cannot answer these questions, keep qualifying them. The route to market is critical. Take Intel as an example. Intel makes microprocessors and memory for computers and mobile phones. Do you think Intel has a microprocessor and memory “shop”? Of course not. Intel’s customer is not you or I (although we are the ultimate recipient of the technology). Intel’s customer is the computer or phone manufacturer. Clearly defining who, exactly, is your customer and how do you reach them is critical. I dislike acronyms, but this is one I really like. Unique selling proposition, or differentiation is all about what makes your business stand out from the rest of the market and more importantly, how can you beat them to win business consistently. You need to determine what sets you apart, then do more of it. Much more of it. If you don’t know what makes you special, call your top-10 customers and ask why they repeatedly buy from you and not your competitor. That is your answer and must be your theme, your anthem, your reason for being. All businesses need cash. Investment, funding, working capital, it doesn’t matter what you call it but how do you generate it in rapid fashion? Where does funding come from? Equity investors, debt providers, grant funding and internal sources. How do you secure funds from all four and the advantages and disadvantages of each? You will have raised sufficient cash to acquire the business in step-five of the 10-step process. If you are raising follow-on funding, in the future, from investors or lenders, read my blog post on “The Ten funding questions, etc.” Equity investors will want a share of your business. Lenders or debt providers will want some security, and you must obey a set of covenants (financial rules) consistently or face penalties and worse still, call in of the entire loan. Grant funders will typically want you to match what they provide (personal funds, debt or equity). Internal funds come from your cash flow and how effective your business is at generating cash through trading. If people that owe you money (debtors or receivables) pay you faster than the people that you owe money to (employees, lenders, creditors or payables), then you will positively generate cash flow. For many businesses, this is the opposite, thus when they try to grow, they run out of cash. The business may be profitable over a certain period, but if they run out of cash, the business will die. Someone once said to me “Sales revenue is vanity, profit is sanity, but cash in the bank is reality”. Every business needs a system and processes within the system that need to be followed, measured and controlled. How does this function and operate? There are many systems in your business. Some are hard systems (for example, machinery), and some are soft (for example, your sales system, or your organisational system or “org chart”). The “org chart” is the most important system in your business. Remember what we said earlier from Michael Gerber about employing “just good enough” employees? You can do this if your org chart is clearly defined. How do you structurally organise your employees, in your business, to give you the most efficient and effective system? There are three parts to this. First, you need to structure your business today to look like it will once you have finished building it and growing it. List every position in your business for when it’s finished. You should have more positions than employees. That’s fine. Second, list all of the tasks that each role or function must perform and when. Hourly, daily, monthly, quarterly and ad-hoc. Next, determine how you measure performance of each task and the standard to be met. Finally, document each and every task in your operations manual, so anyone who performs the task, in the specific role, can do it perfectly, each and every time. That is how McDonalds was built, and it will work in your business as well. Leverage your business contacts to both help you grow your businesses but strategically focus and manage it as well. Leverage the expertise and networks of your professional advisors: lawyers, accountants, funders, consultants and even your bank. Arguably the most important partner you have. Without customers, you don’t have a business. Customer service is critical to your business and how it’s a major part of your USP and pricing structure. Have your very best customers part of your advisory board. Have them help you be successful and you will convert them into raving fans who will tell everyone they know. All businesses have suppliers; some are more critical than others. Without an effective supply chain, your business will suffer. Keep your critical suppliers very close to you and put them on your advisory board. In my experience, this will allow you to have the best terms and prices with your critical suppliers, improving your competitive edge and your cash flow. I know many suppliers who have funded their customers to make them grow, as it helps them grow. Intel does this very well. If you want to grow your business quickly and either can’t or don’t want to use debt finance, an investor can be your knight in shining armour. There are different types of investor. Individuals, called angels, dragons or investing non-executive directors in the UK will have deep expertise in your particular market niche. There are also investment funds, either venture capital (small to medium) and private equity (medium to large). If you have a compelling business and plan you will get the money. The question you need to ask yourself is what else do you want in return, in addition to cold hard cash? Don’t just pick an investor on the best terms (lowest equity dilution for funds invested) but also look at their value-add. Can the investor help you by introducing new customers from their networks? Can they fill in a skills gap in your business and give compelling, critical advice? Does the investor have a strong track record investing in your sector? Your investor needs to be a sparring partner, not just a piggy bank. How can you make money selling someone else’s products or services? Just because you don’t make a particular product or provide a particular service, doesn’t mean you cannot sell it. Identify attractively and related products and services that are complimentary to what you do and go partner with (or acquire) businesses that do those things well. If you sell technology hardware, go partner with a software or service company that can add value to the customer over and above the particular hardware you sell. In the 10-step process, you will have originated many opportunities, so you can follow up your first acquisition by bolting on others that are complimentary, again in cash-free deals. Two amazing things happen when you combine two businesses via an acquisition, or a merger. First, you can cross sell products and services between the two complimentary customers and second, combining operations will allow you to take costs out of the business. Combining sites, equipment, employees, marketing activities, etc. So sales increase via cross-selling and costs reduce as a percentage of the higher sales so profits increase faster than sales. This is part-three of my FIVE-part process for generating a significant amount of wealth via acquiring a business without spending any of your own money, growing and improving it quickly before selling it on and generating a big profit. In part-one, I introduced you to the concept of this five-part process and in part-two, I listed the 10 items you need to look for in identifying the perfect business to acquire. If you missed part-two, read it here before continuing with part-three. In 2008, I left the comfort of large corporates and became a deal maker for myself. I have used my acquisition experiences since 1992 to develop a simple, yet effective 10-step process for finding quality, established business and acquiring them for no personal cash, even completely free in some cases. This is my 10-step process checklist. A dream deal specification is essentially a statement of what your ideal business will look like, and what it will not look like. It covers your skills, experience, the work-life balance you want and what sectors niches, products, customers, and locations are of interest to you. You also design a wealth creation plan and this helps you focus in on the size of business you need: For cash at closing, monthly or annual payments and finally the exit payment when you decide to sell your business. Origination is a fun part of the process. I use at least five approaches on a daily basis. These are social media, networking events, direct approaches, leveraging mine and others’ professional networks and finally business brokers, who have many good, unsold businesses on their books. Once you have originated multiple opportunities, you now need to filter and compare them, so you get to work on the best opportunities mapped to your dream deal specification. 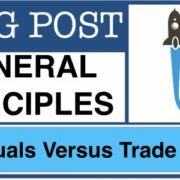 You need to set up a basic list of criteria to judge each opportunity, leveraging the 10-point checklist for acquiring a cash free business, which we discussed in part-two of this series. The structure is all about looking at the basic sales and profit numbers to determine the annual free cash flow. This cash will determine what cash can be paid to the seller over a three to five-year period. The future cash is called deferred consideration, vendor finance or loan notes. The payments can even be contingent on financial performance so if the business doesn’t perform, you pay less money, or nothing at all. Remember, YOU are not borrowing the money, the business is and it’s a totally separate legal entity. You need to assess the fundability of the balance sheet to raise finance against the business assets. The cash raised is to pay the seller some cash at completion if he or she needs any. And, to provide capital for you to grow the business and finally to provide you some cash personally at completion. No matter how good the business is, I always offer first only to take over the liabilities of the business (leases, contracts, etc.) so all the money raised is mine. From experience, 10% of business owners will accept this. I then have three additional steps depending on how badly I want the business however I never provide any personal capital. These four steps in total get me a deal 50% of the time. The key is to originate multiple opportunities and play them off against each other to see who cracks first. Once you verbally agree a deal, you need to create a one-page letter of intent to acquire (LOI). The LOI is effectively an option for you to complete the deal within a specific period and subject to the high-level terms agreed. The LOI also gives you exclusivity, free of competition, to complete the deal. During exclusivity, it’s important to do three types of due diligence (1) financial due diligence, (2) commercial due diligence and (3) legal due diligence. There is no requirement for you to do this yourself, except some of the work contacting customers, etc. in (2) so you can introduce yourself. It’s best to leave the majority of due diligence to lawyers and accountants. This work is typically performed on a contingent basis, and this is very commonplace. You typically have to pay a higher fee, but the business pays the fees, not you, only if and when the deal closes. Similar to due diligence, the lawyer will negotiate the purchase agreement for you (and any finance contracts) on a contingent basis. This work will also include negotiating warranties and guarantees from the seller. These are essential to provide you an adequate safety net, should anything materialize during your ownership, that happened in the past, that the seller didn’t disclose. However, most items are picked up in due diligence. The day has arrived. You sign the legal paperwork, the funds transfer (including to you) and you go start work in your new business, meet your employees (if you haven’t done so already) and potentially start your next acquisition, which can be a bolt-on into the business you have just acquired. This can turbo-charge your growth since acquiring bolt-on acquisitions will give you complimentary customers, employees, assets, products and services. You can also eliminate significant overall costs from a combined operation to rapidly increase profit, the value of the business and your own personal wealth. I have personally seen businesses increase in value by up to 10x by making just one acquisition. That’s it for part-three. In part-four, I will walk you through what you need to do as a new business owner, by creating an automated, killer business. I will share my 7P business success framework with you. You can access part-four here. This is part-two of my FIVE-part process for generating a significant amount of wealth via acquiring a business without spending any of your own money, growing and improving it quickly before selling it on and generating a big profit. Yesterday, I introduced you to the concept of this five-part process. If you missed this post, read it first here. Onto part-two. Finding the right business, with the right fundamentals in place, is the key to ultimately reaping huge rewards. Here are 10 essential elements that should be present within a business before you even consider making a deal, even if you are not parting with any of your own cash. 1 – The business can survive despite itself. In other words, although the business may be stagnant or struggling to grow, it should be able to at least sustain itself in the medium-term. It should be fundamentally resilient, with solid systems in place, even if it is not as efficient as it could be. Having confidence in the foundations of the business will give you the freedom to make efficiency gains, improve systems and structure within the company, and to get it on a pathway to growth. 2 – It’s a cash flow business. You don’t want to risk taking over a business that relies on a few big clients with a few big orders. You also don’t want be stuck with a lot of fixed assets lying idle. Often with a change of ownership, clients will start to think about using other suppliers. Since their relationship with the previous owner has ended, they see this time as an opportunity to look at their options, and so may cancel their orders, leaving you desperately trying to find another big client instead of focusing on improving the business infrastructure. A steady cash flow ensures stability and allows you to concentrate on the important stuff. 3 – It provides a consumer staple product or service. A staple is something that everyone needs, even during economic downturns – basic food items, haircuts, alcohol, clothing etc. A business dealing with staples lowers your risk while still giving you plenty of room for growth. You also want a business that employs workers with a low skill base, so you are never struggling to find the right people. You want a business with limited service or sales interaction, where customers just walk in and walk out on a regular basis – the simpler, the better. 4 – It has terrible or no sales and marketing expertise. Often, an owner/manager will be stuck in their ways, having perhaps started the business from scratch and run it for years. They may think they know how best to run their own business, and don’t need to worry about fancy marketing concepts. Cash flow businesses thrive on word-of-mouth and repeat customers. There are sometimes fantastic opportunities to increase sales and revenue in a business just by employing smart and cost-effective marketing strategies. 5 – A competent manager is in charge. You need someone capable to work in the business while you work on it. You need to be able to trust your manager to keep the business running smoothly in your absence. If the business does not already have a good manager in place, make sure you find one to do the job, even if this means giving up some equity. You do not want to be concerned with the day-to-day stresses of running a business while trying to build it up. 6 – There is potential upside that can be realised quickly. I look for a minimum of $10K profit growth per month within the first 3 months. Often the owners can’t see the wood for the trees. They may have been working in the business for too long, stuck in their “tried and true” ways, and so miss possible opportunities for growth. Sometimes it takes someone from outside to see new possibilities. You need to be able to identify areas within the business where fast and smart changes can be made that drive profits. 7 – It’s a bargain. The business you acquire will be either completely free, where you just take over the lease, or it’s paid for from vendor finance and deferred payments. It shouldn’t cost you one dollar of your own money. You must be able to take cash out of the business for yourself, on day one of the handover. This can be done by leveraging the balance sheet. It’s about being creative, and making the financial structure of the business work for you. 8 – The owner is desperate to get out of the business. Perhaps there is a tired and frustrated owner/manager in charge that just wants to quit and move on to enjoy retirement or a new challenge. Maybe a portfolio investor needs to cut ties with the business to focus on new opportunities. Or the business may be owned by a large corporate that is looking to shed its non-core assets. Basically, you are looking for an owner who will be grateful to you for taking the business off their hands, and you would be surprised how many there are. 9 – The seller values legacy more than cash. Even though the owner may be keen to get rid of their business, they may feel a deep connection to it. After all, they may have started this business themselves and worked hard to make it a success, investing their time, energy and emotions into it over many years. It can be very important to them that their baby continues to thrive, long after they are gone. If you can convince the seller that your goal is to build on their hard-earned reputation and brand, and to grow the business and make it stronger, then that may mean a lot more to them at the end of the day than a bit of cash. 10 – The business has enough working capital to survive for at least 6 months. You don’t want the stress and anxiety of not knowing if the business will go under while you are making positive changes. Analyse the balance sheet and ensure there is sufficient working capital to keep things ticking along while new systems and strategies are put in place. If you follow these 10 simple rules for acquiring a business, you will ensure that you maximise your chances to reap amazing profits and gain enormous success in the future. 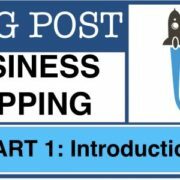 In part-three, we will continue with this five-part series and explore my unique 10-step system for originating hundreds of opportunities, filtering them and negotiating cash free deals with the opportunities closely mapped to your expertise and passion. When selling a business, there are typically five primary selling motivators. Exhaustion of the business owner or the business itself is a top reason a business is sold or is required to change ownership. In this case, the owner-manager feels he has taken the business as far as he can. Once people have owned businesses for ten years or more, with the same old routine, the mindset often changes. Even if the marketplace the business occupies presents exciting new opportunities for growth (e.g. structural market changes, new technology advancement, new legislation, etc.)! Business owners sometimes simply don’t want to go through the next growth curve and would rather let someone else with more energy, passion, and drive go on that journey. For example, I helped an associate of mine acquire an asbestos removal company last year. The business was in a country that had just introduced new legislation that provided a significant growth opportunity for the business and everyone else in the market. The seller just didn’t have the energy and passion for putting in three to five more difficult years of sweat opportunity, so he wanted to sell. The owner had fear, uncertainty, and doubt about competitors, and so the trusted, safe pair of hands was appealing to him as a way of leaving the business but maintaining peace of mind. Although the owner wanted a nominal sum of cash on completion, the market opportunity and balance sheet strength afforded almost 3x the amount of funding required, so it was a fantastic deal for everyone involved. Obviously, this is one type of seller you want to target. Sadly, lifestyle changes are very common, and these clearly fall into our wanted seller category. Sometimes owners themselves get sick, as do spouses and other family members. I was criticized once in the media for appearing to profit from an owner manager who gave me his business so that he could spend his time treating his wife, who had a terminal illness. In actuality, the owner still thanks me to this day for what I did for him; yet he gave me his business for free. How did I achieve this win-win result? The owner’s first concern was his wife and therefore he was sick with worry, which had caused him to take his eye off of the ball in terms of his business. The business, with twenty-five years of strong, profitable presence in the market, would have collapsed within six months if I hadn’t stepped in. After concern for his wife, the owner’s secondary concern was the leases and other contracts he had signed up for on behalf of the business, as well as the welfare of his staff and his customers who were on long-term contracts. The owner believed he would have to close his business due to his life changes until I found him through one of my many origination techniques. He drove one hundred miles to see me the very same day I contacted him, and we had a deal within two hours. He was then able to focus on taking care of his wife with a sense of relief regarding the state of his former business, customers, and staff. While he tended to his wife, I put the business back on track. Once she sadly passed away, I allowed the former owner to come back and consult for me, as he understood the nuances of the market; he remains a valuable member of the team. So you see, this type of seller is someone we want to target, for all the right reasons. One strong motivator and one you need to avoid is the entrepreneur versus manager conundrum. Some people are born entrepreneurs and love setting up businesses. I discussed earlier the very high risks involved in building a start-up and the personal and financial sacrifices that are required. You can bet that an entrepreneur will not sell out for less than top dollar if they are in the 4% that have survived over a ten-year period. You see, once entrepreneurs have built the business into something established, and it needs proper management, they get bored. I have seen it hundreds of times in my career. They want to sell out, have a break and some fun, then go onto the next venture in the bucket list – this is what we call a serial entrepreneur. The entrepreneur may even invest in other people’s ventures. There are always owners that want to cash out of a business. Every business is for sale at the right price. For obvious reasons, avoid these sellers like the plague, unless the business has hit a performance peak. If the plateau is caused by market dynamics or anything else that you cannot directly influence, strike these off the list and move onto the next one. What you will find, however, is that businesses peak as a direct result of the owner-manager running out of energy and then (as above) they are definitely on our target list. The mechanics of buying a business vary different, depending on the specific type of business that you are buying. The owner manager culture of a small business is completely different from that of a large business as these two types of businesses operate in different ways. While a small business is keen about maintaining its legacy, brand, the existing culture of the business and protection of incumbent the staff, a large business is only interested with strategic and financial synergies. As such, large businesses will care less about retaining the legacy, brand, employees and other aspects if they happen not to follow within the line of their strategic objectives. Larger businesses are predominantly driven on profits, sales growth, cash flows and shareholders ROI. However, this is very different from owner-manager businesses where other factors that are largely neglected or ignored by larger businesses come into play such as business heritage, culture and the well being of staff. Such factors have an outstandingly big impact when it comes to negotiating cash free deals during the business acquisition process. Dealing with a lone owner manager, when you intend to acquire his or her business without spending any cash, can be simple, especially when you really know what you need to focus on during the negotiation. When it comes to a lone owner manager, you as a buyer can really benefit if you plan to acquire the business from an owner who has become frustrated with how the business is progressing. It may be the profitability of the business isn’t as high as it used to or the owner is becoming frustrated with continued loss of market share. The owner could also be getting older and their lowering energy is pushing them to sell the business and probably go into retirement. They, or a family member could be suffering from ill health. A change of focus is something else that you can play on especially where the owner is now interested in trying his or her hand in a completely different line of business. However, such things noted in a lone business owner are something that you won’t find in a large business. As such, acquiring a large business requires that you take on a completely different approach as the change on owner manager culture completely changes the entire game plan. For instance, large businesses don’t have issues such as lack of a succession plan, lowering of energy and will rarely change their business focus or get frustrated with new developments in their field. Keeping this in mind, one must understand that the owner manager culture plays a very crucial role in business acquisition. As mentioned previously, some owner managers have very strong feelings and opinions regarding their business’ legacy. An owner-manager may be concerned with standing in the marketplace and/or what employees, customers, suppliers, and partners think about the business relating to its morals, its attitude, the way everyone is treated and how the business is managed. Sellers who have owned their businesses for many years typically care deeply about this and often, legacy is much more important than money to these particular sellers. The biggest fear this type of seller has is that a large trade competitor will buy the business and destroy its legacy because large trade competitors only care about their standing and position in the marketplace. Positioning yourself as an individual or small company buyer who can and will retain this is appealing to an owner-manager who has fears related to business legacy. I am looking at a bolt on opportunity to one of my businesses that is almost 200 years old and has one of the most valued brands and reputations in the market. I would be crazy to erase this. Larger competitors don’t agree and would erase the brand. It’s more ego than common business logic, but there you have it. That’s why the owners want to let me have the business, as I will cherish and protect it. When a seller considers brand, the analysis is similar in nature to the legacy analysis. For example, I was involved with a transport company several years ago. The owners were on the verge of seriously cashing in by selling to a large competitor. However, just prior to completion, one of the owners was driving on the road and saw one of his branded vehicles. That’s when it suddenly hit him: the brand was going to disappear almost overnight and be replaced by that of the larger business. The owner couldn’t bear to think about that and pulled out of the deal, selling instead to management at a significantly reduced price. The management didn’t need any of their own cash to buy the business. They used the balance sheet assets to raise some money – paid some to the seller, invested some to grow the business, and took the rest out for themselves. The owner was happier selling and retaining the brand than cashing in and thereby making his brand extinct. In the same transport deal, the current employees would have become redundant because the acquiring company had its own workforce. The seller was aware of this and had planned to use a portion of his cash from the deal to look after them. I have seen this done hundreds of times in my career. Most sellers that cash out can’t just lay on the beach with the cash in the bank, worrying that employees who served them loyally over the years are now at risk. These types of sellers do not want to leave their devoted employees unemployed with families to support. It’s a powerful need for these business owners to know that their employees will be protected, and this is something that we need to assure them of during negotiations. Some employees, however, do not like change and leave voluntarily. Considerations of culture are similar to those related to legacy. Consider this example of one of the largest cultural mismatches in the history of mergers and acquisitions, of which I was a part. In 2003, just before I joined HP as a corporate dealmaker, HP acquired its bitter rival, Compaq. HP was Californian; Compaq hailed from Texas. The cultural differences between the two were stark. Picture the Rotary Club merging with the Hell’s Angels. Suffice to say, the culture clash didn’t work then and HP still suffers to this day. Although the Compaq brand was retained for a long time, and HP still sells Compaq products, the management of the two companies never properly integrated and still have separate sites in operation today. As demonstrated by this case, culture is one of the biggest hurdles to successful acquisitions. People, systems, and processes run businesses, and sometimes the sets just don’t mesh together. If HP had considered the cultural nuances of Compaq and the challenges of integrating that culture into its own, the merger might have turned out differently. Many sellers do consider culture more heavily, as everyone should when negotiating acquisitions. It is a fact that the price a seller will receive for his business is higher when selling to a large trade competitor. But the trade-off is that the large trade competitor will cut costs and make significant changes (e.g. employee disposal, cultural change, etc.) to drive through the synergy benefits. You need to find sellers who consider and care more about protecting and handing over a legacy than they do about receiving top dollar. It is far easier than you think to find these sellers, and it comes down to (a) originating multiple opportunities and (b) pushing the right buttons in the negotiation to make this work. Customers hate change. Often a smaller business treats its customers much better than a larger competitor. If your small business has sales revenue of $5 million per year and one customer spends $500,000 per year, you are going to make him, or her feel very special. This is based on how dependent they are to your business. If a $50 million competitor acquires the smaller business and it has many $2 million to $5 million customers, they will be the focus point and the $500,000 per year customer will soon feel very unloved. I have seen it thousands of times. Time frame is also to our distinct advantage. A larger trade buyer can take up to 12 months to complete a deal from start to finish; however, as an individual, you are much more agile – especially with me mentoring you! Large companies need full buy-in from all department heads and involve many other checks and balances. As an individual (or as a small team) you can complete a deal in eighteen weeks, from start to finish if it is your primary focus. Larger competitors will need to consult their board and shareholders. Larger competitors have hundreds of other pressing matters to attend to (including running the existing business), and may be looking at an acquisition alongside ten or more others – then play them off against each other. Don’t get me wrong, that’s exactly what we are going to do to get the best deal. However, we can do it much faster, and timeframe is a consideration of the right seller. Different types of business buyers have different levels of experience and different objectives. A buyer could be a very large business looking to diversify or an investment fund expanding its portfolio. A buyer could also be a smaller business bolting on new products and customers or an individual (or individuals) wanting to own a business for the first time. Each type of buyer has a unique set of advantages and also drawbacks, which greatly impacts on the ultimate sale outcome. Having a good understanding of the differences between trade buyers and individual buyers is very important. Trade buyers are strategic buyers who acquire or purchase an existing business and will evaluate the business from a completely different perspective from the individual buyers. Individual buyers comprise of people coming from their ‘normal job’ and their main objective in acquiring a business is replacing their compensation. After their purchase, these individuals will be involved directly in the management and leadership of the business. This category of buyer consist of seasoned business people who are well experienced either in other entrepreneurial ventures or corporate positions. However, unlike trade buyers, individual buyers face capital constraints and will thus buy either a small or medium sized business unless they understand the process of securing a deal for zero cash. Once they take over the business, they will be involved directly with its operations and tend to retain the legacy and brand of the acquired business. This situation is different for trade buyers who eliminate brand and heritage very quickly, sometimes overnight. Individual buyers do not seek to change the culture and operations of the business and will mostly retain most of the existing aspects of the business including its culture and the employees. Unlike the individual buyers, trade buyers have sufficient financial resources to support the growth and expansion of the company. In this case, most of the existing operations of the business tend to be changed radically to reflect the new aims, goals and objectives of the business. They will thus change the brand of the business to suit their goals, dispose of employees in their efforts of streamlining the entity and radically change the culture of the business. Individual buyers have a tendency of treating customers in a much better way while the change brought about by trade buyers to the business does not always favor the customer. Due to these differences, acquisition of businesses by trade buyers and individual buyers varies a lot. This is because these buyers will not only give different offers for the business, but their ultimate plans for the entity and their expected involvement level in the business varies a lot. Knowing this will help ensure you are not disadvantaged during the process of acquiring a business, either as an individual, or as an existing owner-manager looking for bolt-on opportunities.